Pastoral Council meets on the 4th Tuesday of every month. MISSION: The Parish Pastoral Council, in collaboration with the pastor, assumes the overall well-being of the parish, present and future. Its primary work is strategic pastoral planning; its secondary work is consultative, proposing practical solutions to the ongoing life of the parish. Members of the council are individuals with talent in planning and designing parish mission, vision and goals. 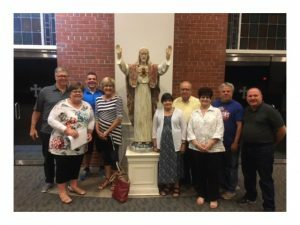 They are individuals who are committed to the parish as a whole, are willing to serve for three years, and able to attend council meetings, and can work collaboratively with each other and the pastor.